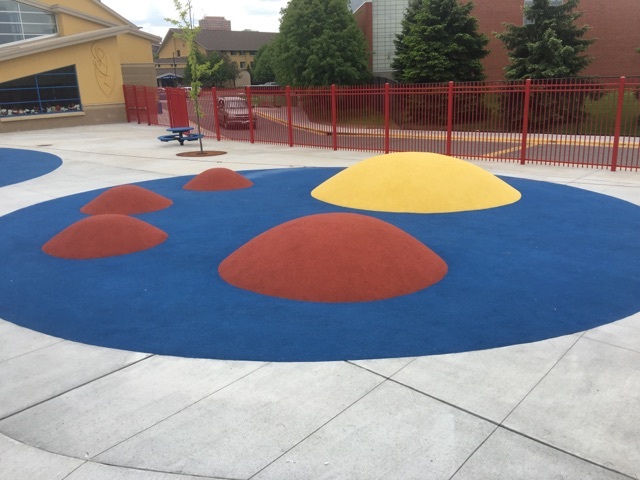 iPlay Poured-in-Place is a 2-layer system. 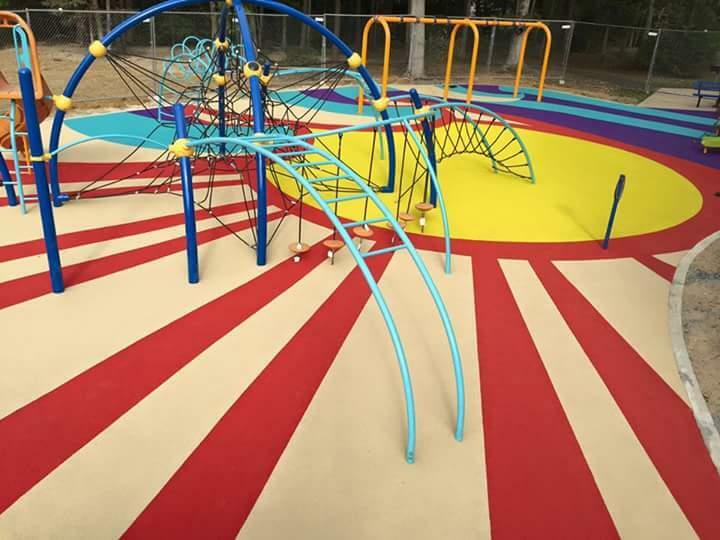 The primary layer is a cushion layer, consisting of 100% post-consumer recycled Styrene Butadiene Rubber (SBR) buffings and a durable urethane binder. The top surface is a wear layer. 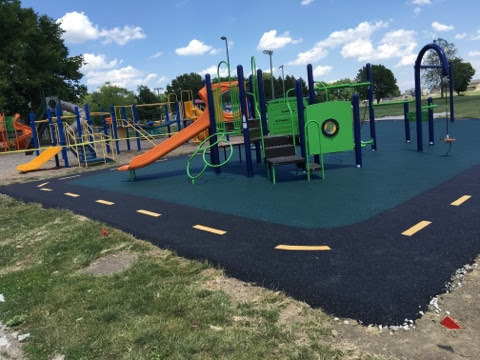 This consists of recycled post-industrial Ethylene Propylene Diene Monomer (EPDM) rubber or TPV rubber. A standard surface ratio typically consists of 50% black rubber granules to 50% color rubber granules, combined with a urethane binder. 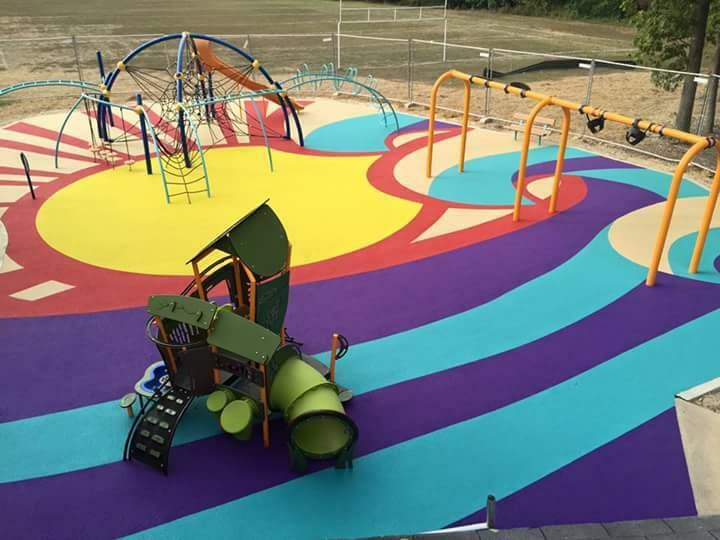 Iplay Poured in Place is our most popular safety surfacing option available to our customers!